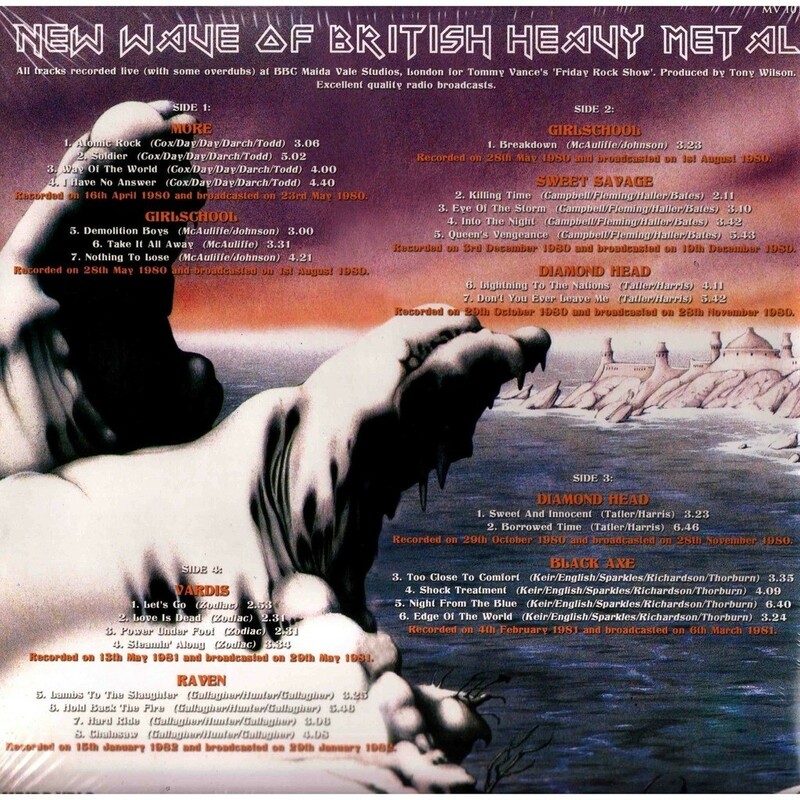 This fantastic 115-minute double vinyl compilation (Volume 2 released in another, beautiful, gatefold cover with band photos inside) contains full radio sessions (in great sound quality) by the classic, early NWOBHM bands, recorded for BBC between May 1980 and January 1982.
for Tommy Vance's 'Friday Rock Show'. Produced by Tony Wilson. MUSIC ONLY (FULL TRACKS - NO EDITS) - NO D.J. INTRODUCTIONS! 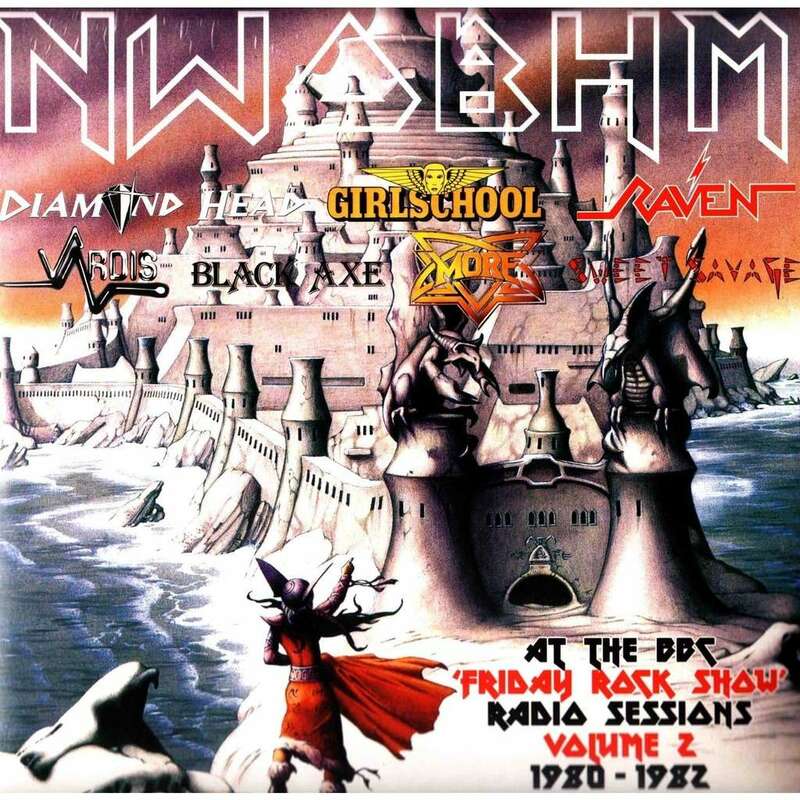 The 'Friday Rock Show' (hosted by legendary Tommy Vance) played a significant role in the rise of the New Wave Of British Heavy Metal, which came to dominate the show by the early 1980s. The show generally included a studio session or live performance each week, arguably being the main reason fans tuned in. Recorded on 16th April 1980 and broadcasted on 23rd May 1980. Recorded on 28th May 1980 and broadcasted on 1st August 1980. Recorded on 3rd December 1980 and broadcasted on 19th December 1980. Recorded on 29th October 1980 and broadcasted on 28th November 1980. Recorded on 4th February 1981 and broadcasted on 6th March 1981. Recorded on 13th May 1981 and broadcasted on 29th May 1981. Recorded on 15th January 1982 and broadcasted on 29th January 1982.